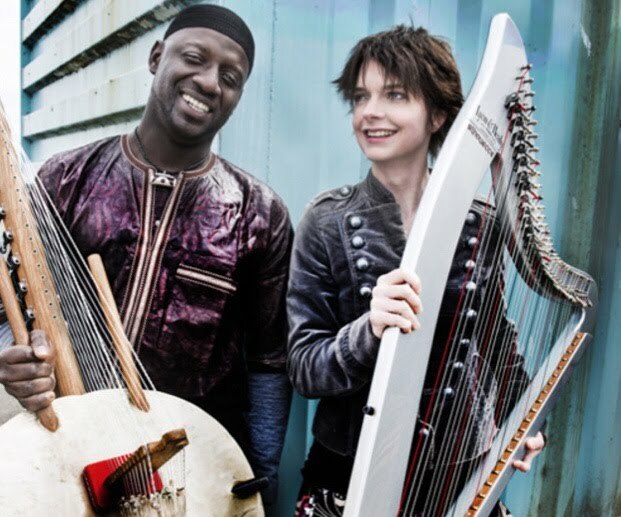 The Senegalese Kora maestro Seckou Keita was performing in Nottingham yesterday with his Welsh harpist collaborator, Catrin Finch. The duo have toured the world with their cross-cultural duet, topping the World Music charts and winning plaudits and prizes along the way. The video below was filmed last year at a Womad festival in Wales, and gives a taste of their joyful sound.